Fire Extinguisher Inspection NYC all boroughs rapid service available. 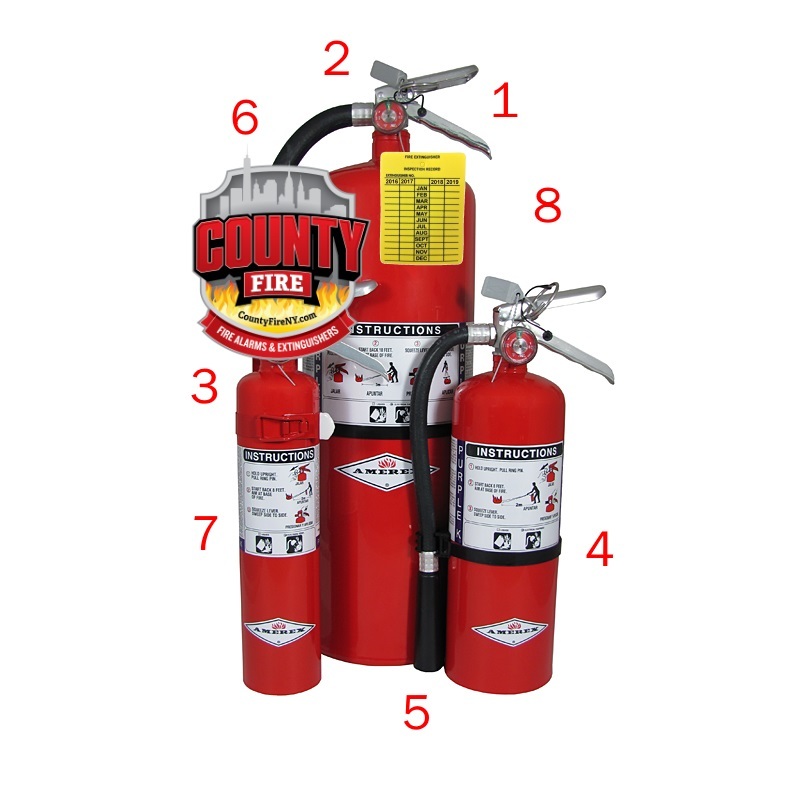 Our fire extinguisher inspection service includes: inspecting all locations of fire extinguishers on the premises for accessibility; checking pressure gauges and recharging fire extinguishers; cleaning each extinguisher while looking for rust, damage or anything else that would compromise the integrity of the fire extinguisher; checking test dates for internal inspections or hydrostatic testing; removing and cleaning hoses; inspecting valve stems; replacing tamper seals and switching certification tags to indicate certification for another year. Charge level and pin position. Ring pin secured in correct position. Hose band attached and secure. Hose and nozzle intact and undamaged. Gauge in place showing full charge. Updated inspection tag in place. NYC Fire Code requires inspection of fire extinguishers every year. Keep up with FDNY fire extinguisher inspection requirements with annual inspection. Just check the date on your fire extinguisher tag to know if it needs inspection. If it does, please contact County Fire to schedule inspection.